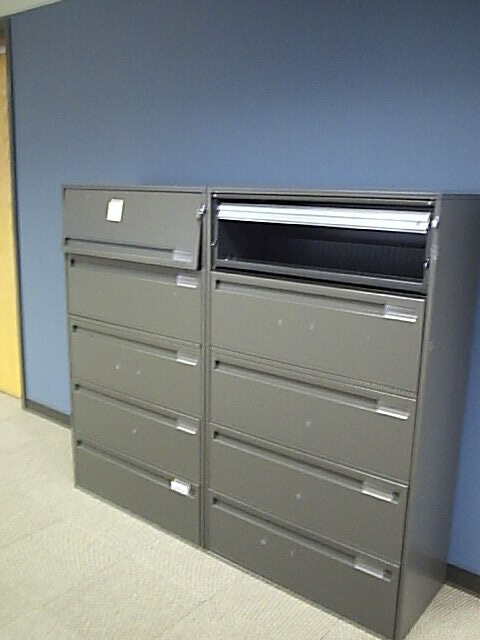 GF lateral files, 5-drawer, 36″ wide, locking with Slate (graphite) paint finish. Very good as-is condition. Note: There are (23) slate gray, (112) in smoke and (15) in a taupe. Total matching files of 158 that are in 3 different colors. Tagged Use GF files used files in Ohio and Michigan and Indiana and Kentucky. 3 Comments on "GF Lateral Files, 5-Drawer, 36″"